MARBLE covers a wide range of musical components and offers an enormous number of possibilities and options. About 900 presets are surely demonstrating that. You have single sounds, tonal textures, rhythmical figures, drum beats, ambient patterns, moving spheres, percussion loops etc. There are endless ways you can use MARBLE. Ok, but what is it basically about? MARBLE is technically a two track 16 step sequencer with the ability to edit every single step in terms of volume, pan, flter, tune, drive, reverse etc. To sum it up, you have eleven parameters to chose! In order to feed these two tracks MARBLE provides 63 different sound sources, some of them are providing up to six times round robin with several dynamic layers (see list below). Marble is fully chromatic. It is not just a one key trigger machine. You can play the sounds in every key or as chords. But if that was not enough, MARBLE gives you the opportunity to shape the entire sound in real-time. You have 13 effects at your fingertips which can be manually adjusted in 127 steps. To recall these effect settings just use the Marble - or the Modwheel – which runs through all 127 steps. You can now shape your sound in real- time at your own requirements. In order to feed the 2 sound slots MARBLE provides a lot of exciting and organic sound sources. Beside some highlights of our current Cinematique Instruments library we have specially recorded plenty of new sounds and instruments such as a complex Gretsch jazz drum kit, a bass, a marimba, the pizzicato notes of a cello trio, a flute - thanks to powerflute.ch, several modern and classical synths, a gran cassa, miscellaneous tiny skin percussions, shaker, lots of fx and glitch sounds and much more. (below you fnd the entire list). Most of the sounds are existing in several round robin variations - up to 6 - and several dynamic layers - up to 8. Each sound covers a key range of minimum four octaves from C1 to C5. There are over 2,500 single sample sounds. MARBLE provides a new and absolute unique feature: Real-time Sound Shaping. After having created a sound in the sequencer area with all the extensive possibilities - see under 1 -, the entire sound of MARBLE finally passes a complex effect matrix. This effect matrix includes various effect such as low- and highpassfilter, distortion, compression, frequency rate, random generator and much more. By means of slightest changes of these effects MARBLE achieves amazing results and gives an exciting vitality and complexity to all the sounds or patterns. And guess what? This works in real- time. Imagine you like to play the guitar or piano while MARBLE is running, just enable „Freeze“ and MARBLE will play without holding a key in an endless mode. This is an excellent feature for those who are going to use MARBLE in a live situation or as the starting point for a new music composition in order to add further instruments. 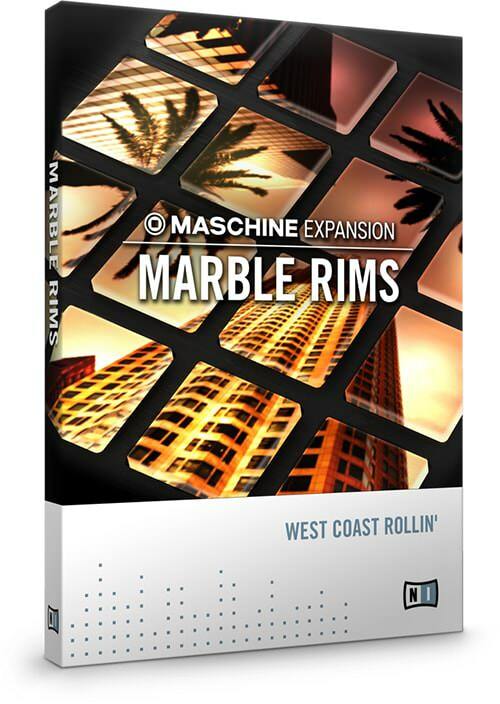 Marble requires the full version of Kontakt 5.3 or higher.